To use this, you'll need an XML file generated by the SMS Backup & Restore app. Click the "Demo" button above, browse to your XML file, and hopefully it works. Enjoy! 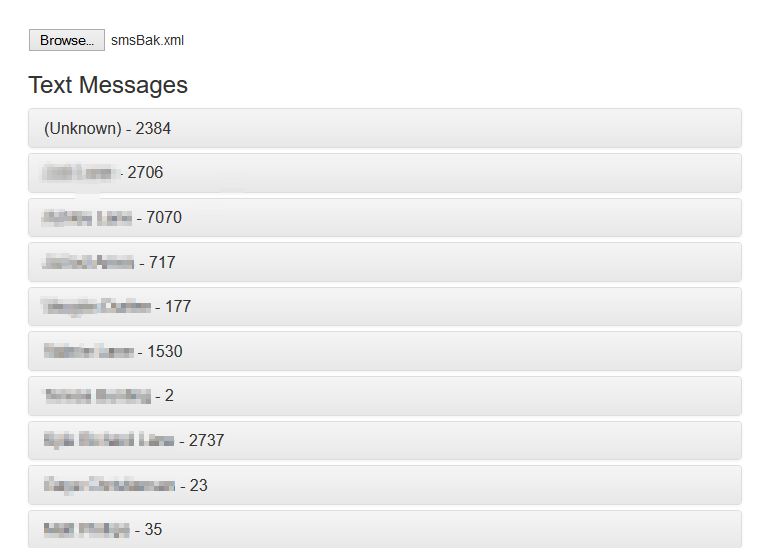 SMS Viewer is maintained by seanlane. This page was generated by GitHub Pages using the Cayman theme by Jason Long.